When do you Tell your Kids , we are living in the End Times. And How will they handle it ? I received this Question this morning! a Question with a difficult Answer ! My Dad sat me down at the age of 13 and started telling me that we are living in the End Times and that the Time for Humanity run out on this Earth! The way he broke it to me was probably why I did not freak-out but embrace the Fact that I may be the Last Generation on Earth and started my End Time Ministry at the age of 14 , I am now 20 and has been in this End Time Teaching Ministry with my Dad from that Age! Jesus said that the Generation that will see the Signs of the Times he explained in Matt 24 and Luke 21 , that THAT Generation will see the 2nd Coming of Jesus and the Rapture alive. My Sister and I embraced the fact that we may not live a full live like my Parents here on this Earth but that we were placed here by God , equipping us for this day and time and we excepted that we were saved from the condemnation of the end of Sin. This is why I post , warn , teach , endure this info to you My Facebook friends daily . for I embraced that we are Living in the last Years of this Age! Your Children needs to know the Truth , Yes it will be heavy for them to handle , but like my sister and I we realized in our Hearts , we actually selected to live in this Times for we knew God before we where born and placed here to educate ,warn and Equip others to understand the Times ahead. Understanding that we will be better of in Heaven that what is coming to this Earth. and that our lives will actually only start when we reach Heaven! Teach your Kids of the Heaven was Prepared for them , tell them about the new Earth and new Sinless universe coming , but also the fact that they will witness the end of he sin dispensation and the wrath of God on sin. There are so many signs that tell us we are living in the last days of earth’s history. Not only do we have the main Bible signs, and the 6000 year timeline plan of God, we also have the apostle Paul’s description of the last days in 2 Timothy 3. Do you see? The reason so many people are carrying on as normal is because they don’t see the signs and they don’t know what is about to happen to this world. So they blindly carry on living as if nothing is going to happen, and these people will continue to live normal lives right up until the second coming of Jesus, at which point their lives will come to an abrupt end. Let’s look at 2 Timothy 3:1-5 and compare what Paul says about the last days with where we are today in 2013. Would you say that we are living in a world full of people who love themselves? In other words, people who put themselves first before God and everyone else? I believe we see that today, even in the churches. People are more concerned with how they look on the outside than how they are on the inside. This consumer age we live in is all about “Me Me Me! !” The tv, radio, internet and magazines are loaded with adverts to lure us into buying the newest thing, and we get sucked in every time. The majority of people, even professing Christians, wouldn’t look twice at a beggar or homeless person on the street, let alone help them. Don’t get me wrong, there are lots of good people out there who are compassionate about helping others and putting Christ Jesus first in their lives, but the majority of people are really only interested in themselves. People’s lives are so saturated with entertainment today that living a holy life of self denial for Christ is alien to them. Satan has deceived the world into thinking that spending more time watching tv, going to the cinema, playing games, socializing and reading novels than time with God is ok, “as long as you believe”. Instead of seeking after heavenly riches, the majority of people today are seeking for material, worldly riches. We live in an age where people clamor for the latest things, and are always in want of more, whether it be money, cars, houses, clothes or holidays etc. And we have the prosperity gospel as an example of the covetous nature of even professing followers of Christ Jesus. So many people are lured into this false gospel with the promise of material wealth. It’s nothing more than IDOLATRY. Satan is the grand master at diverting people’s attention away from God to themselves (and ultimately to Satan himself), and he has succeeded in luring the world into ungodly pleasures and desires. Pride is the cause of Satan’s fall because he wanted to be exalted above God, and the world today is full of proud and boastful people. This isn’t Christian pride, boasting about Jesus, this is worldly pride. Do you like to be the center of attention? Do you like to be accepted by the world as one of them? Do you like to be exalted and lifted up by others? This is pride. One of the reasons people seek after material goods and wealth is because of pride. They want to be able to boast about the things they have and what they have achieved in a worldly sense. LOOK AT ME is the way of the world today. If you go back just 40 or 50 years you will find that children had far more respect for adults, but now we have a world full of children who have little or no respect for grown ups. Not only that, many children now have little respect for their parents. My job takes me around many schools and it is amazing to see how cheeky and disrespectful children are nowadays. And what makes it worse, governments are bringing in laws to stop parents punishing/disciplining their children, which causes the children to get away with a lot more. Satan loves disobedience, and if he can get children to disobey at an early age, then they are going to find it more difficult to be obedient to God as they are growing up. Just have a think about your daily life. Are you really thankful to God for the many blessings He has bestowed upon you? Do you thank Him for waking you up in the morning? For feeding you? For providing you with a job and income? Do you thank Him for His wonderful creation? And most of all, do you thank God everyday for giving us His Son Christ Jesus? Do you contemplate that amazing sacrifice He made? Many of us are unthankful today because we have been conditioned by the world to HAVE things and just take it for granted. Now if Christians are like this, then what are those outside the faith like? We certainly live in a time of ungreatfulness. Spare a thought for those who DON’T have today! The majority of professing Christians believe that because we are under grace we no longer need to keep the law (the ten commandments)and it doesn’t matter if we continue in sin. This is NOT the gospel of Christ Jesus and it is certainly UNHOLY. Again, just go back 50 years and you would see Christians living much holier lives. But today in 2011 we have churches full of unconverted people who continue to live just like the rest of the world. So to fulfil this condition of the last days, we don’t even need to step outside the church because there is so much unholiness inside it! Churches have become like theatres and concert halls rather than sanctified holy places of worship. I love this one, because it alone shows us that we are in the last days. Just look at how homosexuality has become accepted by the world over the past 20 years, and not just by the world, but by professing Christians too! It’s no longer regarded as “taboo” or forbidden, which God confirms in His Word, instead it is treated as just a normal thing. We are now even seeing churches EMPLOY active homosexual leaders!! Do these people even read their Bibles anymore? In the last days people will be without NATURAL affection. We are IN that day! These days people will not take rebuke or correction for the wrong things they do. If you warn a Christian about something wrong in their life, then they will just tell you to stop “judging” them. And those who do live good holy lives are seen as fanatical or are labled as “Pharisees”. Here again we don’t even need to look outside the professing church. So many professing Christians these days spend far more time on worldly pleasures than with God. Television, movies, sports, games, shopping and socializing are the pleasures of the day, and God gets little time even from professing Christians. Have a look at your own day to day life. Do you spend more time on these things each day than you do with Jesus? If so, then you are a lover of pleasure, not God. How many Christian homes during the evening are studying God’s Word or praying, rather than watching the tv? I would guess not many at all. Television has become the idol of so many lives today, and even the things that are watched by professing Christians would be abominable to God. These are the last days for sure! There are so many professing Christians in the world today who think that they are saved by just “believing” in Jesus. And as a result they continue to live worldly sinful lives with no real conversion taking place in their heart. Even the devils believe, but are they saved? No. If you have no works or no fruit in your life, then your profession of faith is dead and useless. Not one person can be IN Christ Jesus and not be changed by Him, not one! Going to church once a week does not make you a Christian, because a true Christian will walk and grow with Jesus EVERYDAY. Where are the people living holy lives for God? Where are they? Yes, there maybe “revivals” going on around many churches today, but what kind of revivals are they? Are they revivals of holy living? If not then God is not in it. Anyone can open a building, stick a good band on stage, draw many people through the doors and call it “revival”. It’s called a rock concert! I am totally convinced from the above and the signs of the end times that we are living in the last days. As a people we desperately need to get right with God, because we are in judgment time and Jesus is going to return soon to give His reward to those who have truly served Him or destroy those who did not obey the gospel. Are you obeying the gospel of Christ Jesus? Do you have a love for the truth? Do you search and study the scriptures each day? Please heed the following warning. The deceptions that Satan is going to manifest during the very last days are going to be so strong, that if you don’t have a love for the truth and are not grounded in the truth of God’s Word, then you will leave yourself wide open to be deceived. Don’t think that your mere “belief” in Jesus will save you, because if you do truly believe, then you will be living everyday for Him and searching the scriptures to find out the truth. 10 Truths You Need Teach Your Children About the End Times. Revelations isn’t a book that often gets discussed in children’s church. For good reason, it’s all kinds of scary. The horse that carries death and destruction. Boils. People that want to kill themselves but can’t. Not really the happy picture that most Sunday school teachers paint with their felt-board characters, right? Whether you believe in a pre-tribulation, mid-tribulation, or post-tribulation rapture, these ten things are something every child should be aware of. Many of us take for granted that we know that Christ will return. We teach our children the plan of salvation, focusing on repentance and living right (which is great), but often gloss over that Jesus WILL return for his bride. This information can be a great starting point for introducing the book of Revelations because it’s exciting news that will help a child put into perspective all the other details of this weighty book. Just because they hear it at church, doesn’t mean it’s right. The loveless church, the corrupt church, the compromising church, the dead church and the lukewarm church are some of the labels given to the seven churches that were prophesied about in the Book of Revelations. The Bible says that people will call righteous those things that are actually evil, and that which is evil they will call righteous. 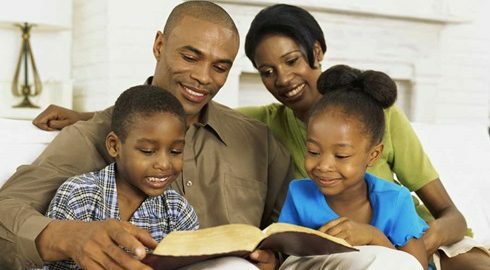 Teach your children to turn to the Bible first and foremost when faced with a question. The Mark of the Beast will be required of all people who wish to buy or sell anything. The Bible says that those who receive it will incur the wrath of God. There are many interpretations of what it might look like, but what is more important to remind children is it will represent the number 666. The number 666 is synonymous with the Beast and it will be located in/on the hand or forehead. As technology advances, it’s important to point out that it will probably be considered a ‘good thing’ by people who don’t know better. Many will come in the last days proclaiming Jesus has come. They will say he is ‘over here’ or ‘over there’. Teach children to remember when Jesus comes it will be obvious — they won’t miss it. The Bible says that “every eye” will see him, even those who killed him. When Jesus disappeared into the sky it was prophesied that he will come the same way he left. It will be magnificent and glorious. Wars and rumors of war, drought, death, famine, pestilence, and earthquakes will be widespread. Pain. Will. Be. Everywhere. The Bible says that the Earth will wear out like a garment. Use the parable of a woman in labor. When a woman gives birth, she starts to feel contractions. They aren’t always nice feelings, but show that the baby is coming! Just like a soon-to-be-mom, the earth must endure these tragedies to welcome the returning Christ! This one is a hard one — especially among our American Christian. Christian leaders (especially in kid’s church) teach following God’s laws means good things will happen to us. On the other hand, not following God means there will be dire consequences. Though the law of sowing and reaping is true, according to Revelations the world will be topsy-turvy. In this upside-down world, righteousness reaps negative consequences and evil reaps positive consequences. This might be confusing for a little one to understand, but retelling the story of Jesus will help you explain this concept. Jesus died and it helped all of humanity. Even though he suffered for a little while, it reaped eternal benefits. Depending on their age, you might want to look into Fox’s Book of Martyrs (for FREE on Amazon) for adults or older children or the Torchlighter Series for younger children. Remind them that suffering for Jesus is an extra-special thing that we can do as believers (Matthew 5:10). It might be a good idea to look up the persecution that is going on worldview via Voice of the Martyrs. Many parents don’t teach their children about ‘the end times’ because it’s too frightening, but Jesus said we should prepare. He told many parables to this effect including the parable of The Wise and Foolish Virgins. Five women had enough oil for their lamps to make the journey to the wedding feast. The five that didn’t went to buy some. In the end, God shut them out into outer darkness. The parable about the prepared and unprepared servants illustrates the blessing one gets for being ready for Christ’s return. Remind children not to fear the future. Jesus says not to fear because these things must happen. He reminds us not to fear those who can destroy the body, but fear God who can destroy both body and soul. Antichrist literally means “against Christ.” There have been many people who have fit this description in the past and many will still come. The AntiChrist of Revelations described will come performing signs and wonders. He will war against the saints and proclaim himself God. This isn’t just some crazy cult leader, but someone with power and influence to deceive the entire world. Someone like that must be a person with high-standing, generally accepted and greatly admired. The Bible says he will have the horns of a lamb (appearing gentle) but speak like a dragon (inwardly be evil). Teaching our children Satan looks like a red man with black horns allows someone who comes in beauty and splendor to trick them. Teach your child that Satan comes as an angel of light instead — in the form of things our flesh most desires. After all this doom and gloom, it’s important to remind children of the end result. God defeats Satan and God wins the war! No one can overcome what Jesus did on the cross. If they put their faith on Jesus and believe that he did what the Bible says, they will have the ability to endure anything…even the end of days. Many people allow the information found in the book of Revelations to cause them to run out and scream, “Believe in Jesus, the end is near!” But that’s not only the message we should be spreading. Belief in Jesus should be a balance between a fear of the Lord and a beautiful response to the gracious actions on the cross. While God can use whatever method he wants to draw us closer to him, I believe that it’s God’s loving kindness that draws us to a relationship with him. Whatever way God brings us to the cross of Christ, we all are commanded to spread the good news and teach about Jesus to the ends of the earth AND THEN the end will come. Remember that teaching your children about these things doesn’t have to be a one-time event. Repetition is key to remembering these truths. (Obviously badgering isn’t necessary).